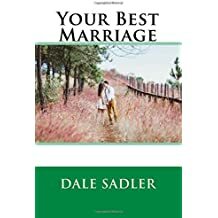 Dale Sadler is a family counselor practicing in White House, TN. He specializes in marriage, parenting & men's issues. 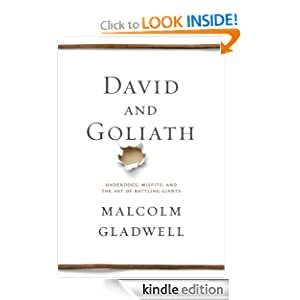 In David and Goliath, Malcolm Gladwell considers the characteristics of those who overcome seemingly insurmountable odds to become champions. Gladwell is one of my favorite authors and he does not disappoint in David and Goliath. I always finish his books with a tremendous sense of clarity of the world around me. In classic Gladwell fashion he challenges conventional thinking on how we consider obstacles and disadvantages. He begins with the most famous of underdog stories, David & Goliath. He outlines the obvious vs the not so obvious advantages and disadvantages that cause this true story to be one we still discuss today. God was certainly with David, and while it appears on the surface that he should have lost, there are many reasons why his win was inevitable. His stories involve common people doing extraordinary things and even historical accounts of wars, scientific studies and law. What do you think it means to face discrimination, cope with a disability or lose a parent? Are these advantages or disadvantages? Many are willing to give up in the face of these, but Gladwell shows how the potential loser can end up being the obvious winner. You will be encouraged and enlightened. Previous Article Character Education: Does Today’s Student Really Care? Click to purchase from Amazon. Having a tough time with my @fitfatherproj account. Need @ATT internet tech support on weekend? Good luck with that. Your spouse messed up so why do you feel guilty? © 2019 Dale Sadler. All rights reserved.